This contains no fabric. It is a digital download of the pattern only. Northcott has created a Stonehenge Block Party that includes over 400 shops across North America! Each participating shop is designing and selling kits for a unique block pattern using fabrics from the Stonehenge Solstice 10thAnniversary collection. You can travel from shop to shop to collect these limited edition blocks. 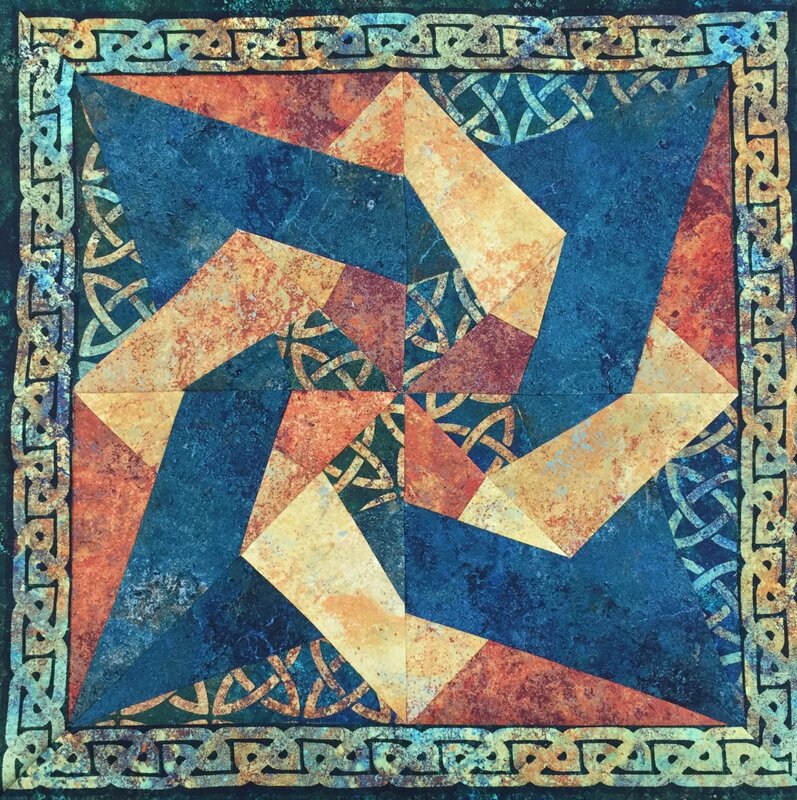 The quilt top must be made of 100% Stonehenge fabrics from the Stonehenge Solstice Anniversary collection with the option of including the Gradations Oxidized Copper palette and Robin’s Egg green SKU 39300-79. The quilt backing can be any fabric of your choice. The quilt must be finished – quilted and bound. Take a photo or photos of your finished quilt and submit via Northcott’s online submissions page by December 31st, 2019. As part of your submission, you will be asked to include a list of the shops whose blocks are included in the quilt. The Northcott judges will select 10 finalists and have them send in their quilts for a final round of judging. They will choose a 1st, 2nd and 3rd place winner!